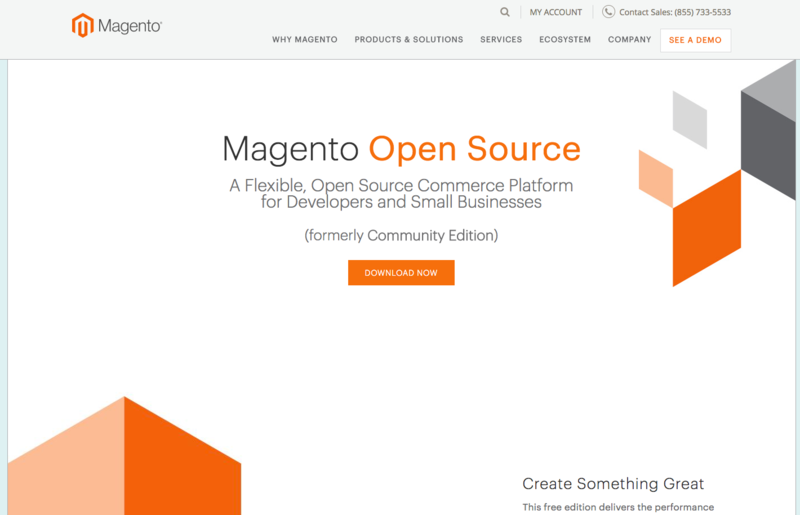 Want to quickly see how the open-source software Magento works? You'll find a free and updated demo installation of Magento here. Magento CMS is a free open source content management system developed in PHP specifically targeted towards online store businesses. It was created by Varien, Inc, a US private company, with as a dedicated solution for store owners to increase their revenue by improving conversion rates and helping with user management and the overall purchasing process. It was first released on 31 March 2009. In 2011, the CEO decided to sell a large part of its shares to eBay, which eventually ended up purchasing the entire company later that year only to spin it off. Magento 2.0 was released in November 2015 which focused more on user engagement and easy navigation. The new version of Magento CMS brought a lot of new features compared to its previous version, including improved page caching and overall performance, inbuilt rich snippets for structured data and a new structure for files that allowed for easy customization. Magento was built using the model-view-controller architecture, using object oriented programming, a MySQL database and elements of the Zend framework. Magento is the provider of two distinct platforms: Magento Open Source and Magento Commerce, which is a platform as a service. Magento Open Source allows developers to extend its functionality through plugins, or to customize its appearance by designing new Magento themes. The ecommerce platform is supported by a large community of developers, around 150.000 worldwide and an impressive network of solutions providers. All these turned Magento into the leading commerce platform for the 2017 Internet Retailer Top 1000. It also has a powerful marketplace where you can find many extensions and plugins that will help extend your shop’s functionality and features. Magento is one of the most popular platforms for selling online, offering customized solutions for depending on your needs or by industry. If you want to try Magento online you can use the links above to login to the Magento admin panel. Use the site login to get a preview of the backend and see how an admin demo looks like. In the frontend of the online demo you will see that it comes with a default page template which you can populate with your own content, or add modules to it. However, you can also get a complete Magento review if you download the software and set up your own Magento shop demo. If you don’t know how to install it you can always find a tutorial online which will walk you through a demo installation and the required steps you need to take. After you login to your new Magento shop demo, the first thing you’ll notice is that it comes with a demo theme. You can start adding content and products in the backend to see how they will look in the frontend. Although it’s seen as an ecommerce platform, much more than a simple CMS Magento allows you to create different types of pages, including a blog. 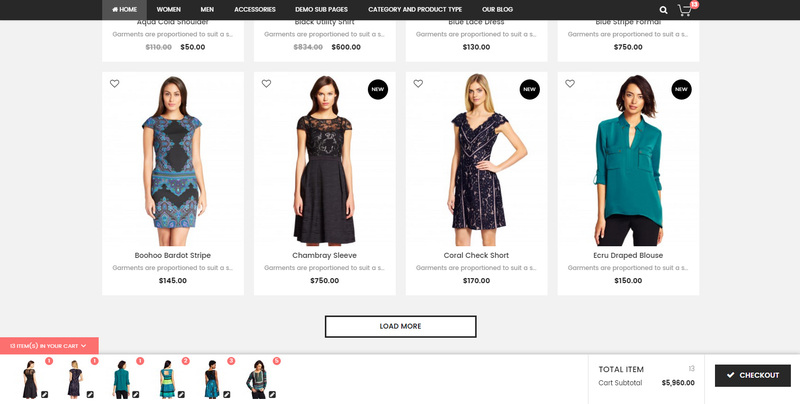 You can also customize the design of your Magento demo site by installing a new theme. There are a lot of Magento themes available developed by third party companies you can install to customize the design of your website. Using Magento as a CMS allows you to easily manage and update your content and blog, while at the same time keeping track of the number of customers and transactions. There are a lot of famous brands using Magento to manage their content and products. Some Magento examples include Coca-Cola, Christian Louboutin, Nike or Ford. Magento is used worldwide by small business and big brands alike. If you’ll have a look at these Magento examples you’ll see that they were customized to fit the company’s needs. Given that Magento works with sensitive information like credit card details, some of the most important Magento features are its security patches. That’s why it’s important to keep your Magento shop up to date with the latest changes. Magento also offers a Data Migration Tool to help with the upgrade from Magento 1.x to Magento 2.x, which can be completed by developers with extensive Magento experience. The latest version released is Magento 2.2, which became available for download on September 26, 2017. Magento is released under the Open Software License (OSL v3) which has a termination clause intended to dissuade users from filing patent infringement lawsuits.